Vinyl has come a long way from its early roots. Once associated solely with cheap floors and retro diners, vinyl has been developed into a durable and versatile material that can create delightful and powerful statements in any room of a home or business. Unfortunately, it’s still possible for people to be confused about certain aspects of vinyl sheet flooring. Maybe they’re too used to the older models. Maybe they keep confusing vinyl with linoleum. Whatever the reason, here’s a handy FAQ to answer your queries about vinyl flooring in Vaughan so you can stay up-to-date and on the cutting edge of flooring fashion. What is Vinyl Sheet Flooring? The simple answer is that vinyl sheet flooring is vinyl flooring that comes in a sheet. The less obnoxious answer is that it’s an alternative to planks or tiles where the whole floor (or a large swath of it) comes in a roll that can be unfurled for easy installation. Vinyl sheets typically start as a 12-foot-wide roll but get cut down to a size more suited for the individual room. The main advantage of vinyl sheet flooring is that, since the whole thing is effectively one piece, no seams are left behind. What Does Vinyl Sheet Flooring Look Like? Almost anything. Vinyl can come with its own colours and shades but it is commonly used to mimic the appearance of natural materials like hardwood or stone. 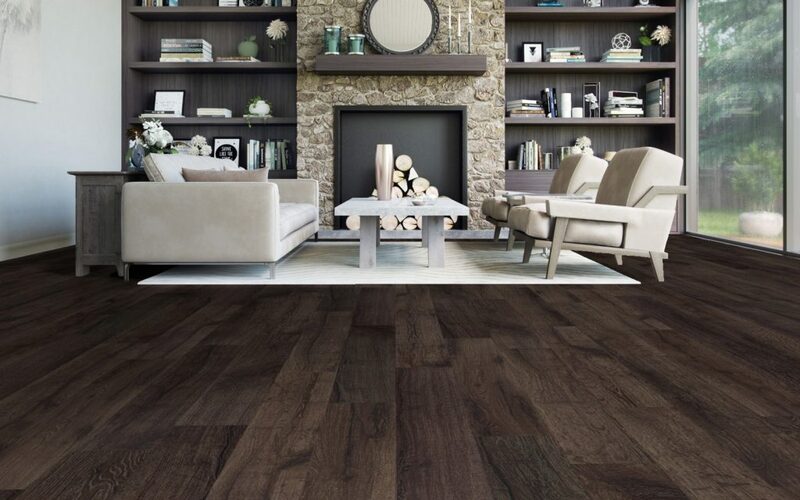 Vinyl manufacturers have this down to an art so you can find vinyl wood-look floors where no two planks are the same, stone-look surfaces with a weathered, reclaimed look, or other examples of the ever-popular natural realism. Geometric patterns are also common, especially the retro black-and-white checkerboard or futuristic hexagon. Is Vinyl Sheet Good for Active Homes? Yes. Vinyl flooring in Vaughan is ideal for any house or business with high levels of activity and traffic. Vinyl is extremely durable and some types of floor are even 100% waterproof. This lets vinyl sheet floors withstand assaults from spills, scuffy sneakers, dropped dishes, messy kids, or lots and lots (and lots!) of foot traffic. 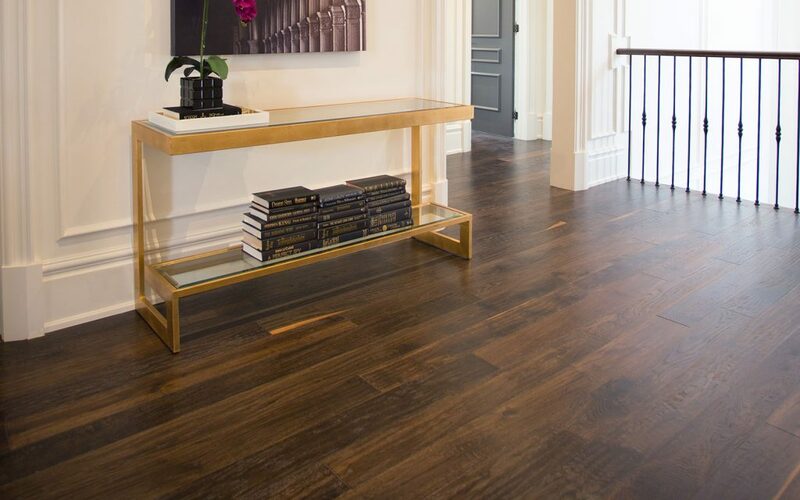 Vinyl flooring is built to last. When properly maintained, a vinyl surface can last decades. Warranties of 25 years or even lifetime guarantees are not uncommon among manufacturers. Indeed. Vinyl is durable and resilient but it still requires a basic level of care. Fortunately, maintenance is a simple matter and doesn’t require the level of special treatment as other costlier materials. Don’t let spills linger, sweep at least once a week, have a regular mopping schedule, and you can enjoy your vinyl floor for years to come. Vinyl sheet flooring has a good level of ‘give’, so it’s soft underfoot and can retain heat longer. It’s also less damaging to fall on, which is one reason hospitals like vinyl flooring in Vaughan so much. This extra dose of comfort, incidentally, is why vinyl is popular for replicating stone or concrete looks. Homes and businesses can enjoy the sleek, modern look of stone without any of the foot-aching downsides or maintenance concerns.